The Over the Calf Merino Wool Peddies by Noble Outfitters are the same great design that you have become to know and love but now available with the moisture wicking properties of merino wool! 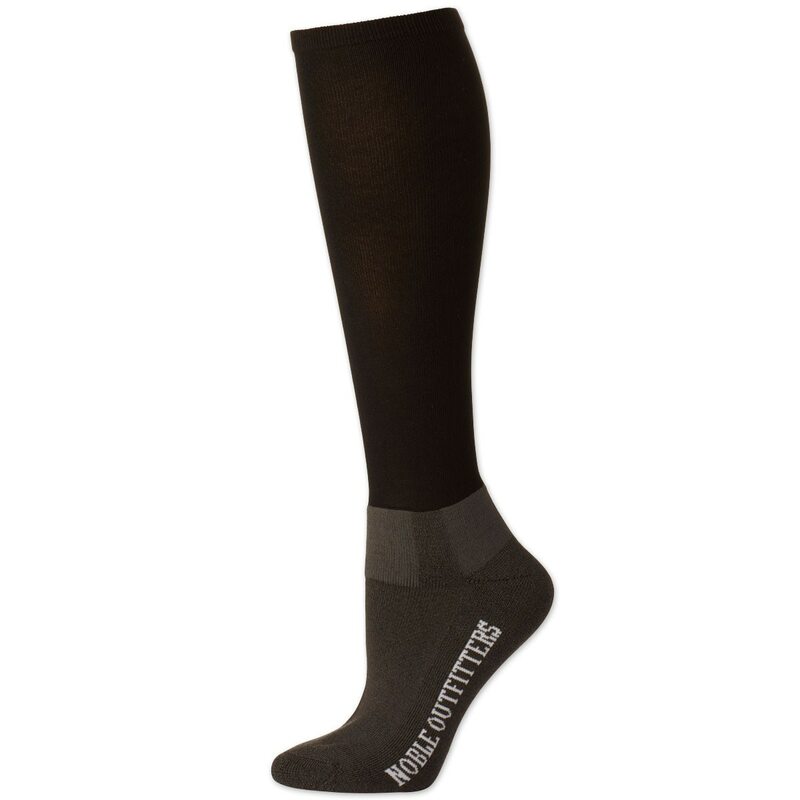 Noble Outfitters™ Over the Calf Merino Wool Peddies™ is rated 4.8 out of 5 by 5. Rated 5 out of 5 by dvelvr from Cozy! I bought these to help keep my toes semi-warm during the winter, and I love them! They are very warm and comfortable, and provide a nice amount of cushion. Rated 5 out of 5 by Sunny in SC from Nice and warm I don't use these with tall boots but they are nice and thin but still very warm for chilly days.Not too bulky in regular boots, keeps your calves warm too. Rated 5 out of 5 by sueblittle1 from Great, lighter weight socks. I like these socks so much I bought more. They work great with all my boots. Rated 4 out of 5 by NancyS from Great feel I've only worn these once but they are really soft and fit well. I didn't give an excellent rating because I haven't had them long so I haven't seen how they wash and wear. Rated 5 out of 5 by Experience counts from Really good idea Purchased with other styles. Foot comfy and cushioned ,calf easy on just right fit. And its Marino Wool great combination.